The Bugaboo Bee3 earned the third highest overall score in this review with a 73 out of 100. It is one of the easiest product to attach a car seat to, and it has a nice easy to use one hand fold and auto-locking mechanism. With all around shocks, single action brakes, and an under seat storage bin, the Bee is an interesting choice for car seat combination and won a Top Pick for Urban Use. There are some downsides to this stroller, however, including the higher price tag and the 8.8 lb storage capacity (which is low compared to the competition), but depending on your lifestyle and needs, you might be able to overlook these flaws for the sleek design and stylish good looks. The Bee3 has been replaced with the Bee5. The changes are subtle and there are several more color options, but the Bee5 appears to be very similar to the Bee3. The Bugaboo Bee5 (below Left) is a more customizable option than the Bee3 (below right). These variations help parents personalize their strollers based on their own style. There are a variety of grip, wheel cap, and chassis color choices. The Bee seat attachment is different from the Bee3, so the two strollers are not compatible. The Bugaboo Bee works with many different car seat brands including Chicco (seen here). The Bugaboo is the manufacturer of high-end strollers and luggage systems with a mission to "help you move freely". Bugaboo started in 1994 and has been creating what they call "game changing" products that help families explore their world in "comfort and style". This chart shows a comparison of the overall scores for the products we tested in this review, including the Bugaboo Bee3 (in blue). The sections below provide details on how the Bee performed during testing compared to the competition. 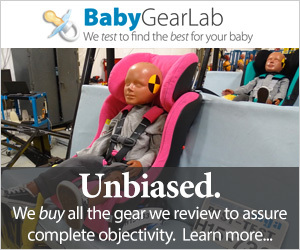 The individual scores in each metric were used to calculate the overall score with an emphasis on car seat attachment and weight and folded size. This is an example of a click in adapter where the seat drops into a metal frame. This one belongs to the Bugaboo Bee3 for use with the Chicco Keyfit 30. You can see that gently dropping a carrier into this frame would be far easier than finding side connection points or having to mess with straps of any kind. The Bee earned a 9 of 10 for ease of attaching car seats, tying with its bigger brother, the Bugaboo Cameleon 3 Combo. There is no easier car seat attachment than that found on the Bugaboo Bee. The Doona earned a perfect 10 because the car seat comes already attached to the stroller. The Bee does not have native seats made by Bugaboo, but is compatible with the Britax B-Safe 35 Elite, Britax B-Safe 35, and B-Safe 35 Elite; Chicco Keyfit and Chicco Keyfit 30; Cybex Aton 2 and the Aton Q; Maxi-Cosi Mico, Mico AP, Mico NXT, and the Maxi-Cosi Prezi. We tested this stroller with the Chicco Keyfit 30 car seat, an award-winning seat from our infant car seat review. The Chicco car seat adapter fits easily to the Bee frame. The Chicco car seat adapter for this stroller is an aluminum loop that requires a Phillips head screwdriver to assemble. The loop consists of four parts with four screws that are relatively easy to assemble and you only have to do it once. You will need to remove the seat and canopy to use the adapter, but removal is easy, and they slide out with the push of a button. The adapter clicks-in using the seat connectors on either side of the frame. The carrier sits in the middle of the loop, and it virtually installs itself by clicking into place once you let go of the carrier handle. This seat did not require any additional pressure in our tests and fully connected by itself test after test. We did not have any trouble installing the seat correctly every time and not once did we think it was connected when it wasn't. The Chicco car seat releases from the adapter on the Bee by squeezing the release handle on the back of the seat. The Bee and the Chicco Keyfit 30 are one of the nicest combinations in this review. Given that the majority of the car seat adapters for the Bee incorporate the use of the loop, we think that there is a chance that other seats will be about as easy as this one. However, we did not test any other carrier with this stroller. The Bee is fairly light for a standard stroller at 15 pounds with no seat, but it is sort of bulky when folded at 10,886 cubic inches. The Bee earned a nice score of 7 out of 10 for weight and folded size. It weighs about 15 lbs with the car seat adapter attached, which makes it one of the lighter standard stroller options in the group. All of the dedicated frame strollers weigh less than the Bee and the other full-size options. For folded size, the Bee is sort of on the large side for a full-size stroller measuring in at 10,886 cubic inches. There are seven non-frame stroller options in this review that fold smaller than the Bee. The UPPAbaby Cruz Combo is smaller and virtually the same weight as the Bee even though it looks larger and has a larger storage bin weight capacity. The wheels on the Bee all have coil shocks and are smaller than the majority of wheels for standard size strollers. The Bee earned a 7 of 10 for maneuverability tying with the UPPAbaby Vista Combo, Doona Combo, and the Baby Jogger City Mini Combo. This score is 2 points lower than the high for the group of 9 earned by the BOB Revolution Flex Combo and the Baby Jogger City Mini GT Combo. The Bee is easy to push over most terrain, excelling on hard flat surfaces and negotiating tighter turns and smaller space. You do lose some control over the carpet and with the handle fully extended thanks to flex in the frame that makes it harder to push. Overall, it is one of the easiest to maneuver if the ground is flat, but the smaller wheels had trouble in the grass and gravel or over small bumps where the wheels struggled to make it up and over. You might be able to manage it over a green belt on the way to a play park, but it isn't going to perform well on a gravel trail. The flex in the frame also makes it a poor choice for going over curbs. The tires are foam filled rubber that provides all the benefits of rubber tires without the ability to get a flat tire. The wheels turn easily with little resistance, but their smaller size inhibits maneuverability and prevents this stroller from being great over rougher terrain. The Bee has four wheel shocks that are not adjustable. Overall, the passenger has a fairly comfy ride thanks to rubber tires and nice suspension. The handlebar on the Bee 3 telescopes in and out to adjust the height. The Bee has an adjustable handlebar that telescopes in and out as opposed to rotating on a pivot point. We like this design because it allows for taller people to find a good height without bringing them too close to the rear axle which results in kicking the stroller while walking. The handlebar adjusts from 34.5 to 42 inches from the ground and is smaller in circumference than some of the competition. To learn more about the Bee and maneuverability, please take a look at the in-depth review presented in our full-size stroller review. The storage bin on the Bugaboo Bee looks large, but it has some cross bars to contend with and the lowest maximum allowable weight limit in the group at around 8 lbs. The Bee earned a 4 of 10 for ease of use, tying with three other strollers. If there is a metric where the Bee struggles, it is ease of use. The Bee requires two hands to fold and auto-locks when folded. It does not self-stand, but it does have a carry strap that makes carrying easier. The fold is very easy to accomplish, does not require bending, and once folded it rolls similar to rolling luggage. The car seat adapter does not interfere with the fold, but the toddler seat does. You can unfold the Bee with one hand if you need to. Unfolding the Bee is different, and it might take a little practice, but it isn't hard to do. The large brake pedal on the Bee 3 is very easy to use. The Bee has single action brakes that lock both sides at the same time with one pedal. Not only are they are very easy to set, but are also sandal friendly. Releasing the brakes can be achieved by either lifting the pedal from underneath with your toe or by pressing it a second time. The UPPAbaby Cruz storage bin (left) is considerably larger than the Bugaboo Bee3 (right) and holds 25 lbs compared to the Bee's 8.8 lb limit. The Bee has a medium size storage bin that fit our large diaper bag. It has access from the rear and front with no side access. It has a limited allowable weight capacity of 8.8 lbs which is likely not enough for all the things you'll need for an outing with baby. This lower limit could decrease the length of your outing given the limited supplies you'll be able to carry. If you plan to run errands or do a little grocery shopping, the Bee is a definite no go with no place to store items heavier than a loaf of bread. The canopy on the new Bee 3 (right) is far larger than that found on the previous Bee (left). The canopy on the Bee is nice looking and on the larger side. Unfortunately, with this stroller, the canopy will need to be removed to use the car seat. So while some of the competition allows for the canopy to be used in conjunction with the car seat carrier canopy, this is not one of those, and you will need to rely on the car seat canopy for protection from the elements. The Bee is one of the most difficult strollers to put together because it comes with almost nothing pre-assembled. This product took us over 23 minutes to assemble from the box to ready to use. This is over twice the amount of time it took to assemble the next longest product. The documentation for assembly is weak, relying solely on illustrations with no written instructions. We put several portions of the product together incorrectly the first time with about ¾ of the time spent on the canopy and seat. Thankfully, you will only need to assemble the stroller once. The Bee has a complicated frame with lots of plastic components. The Bee scored a 7 of 10 for quality, tying with the Bugaboo Cameleon Combo, UPPAbaby Cruz Combo, Doona Combo, and Mountain Buggy Swift Combo. The Bee has a complicated frame with several parts and connectors. Surprisingly it manages to still look sleek and function without too much flex, though enough to impact maneuverability. The fabric on the seat and canopy fit tightly to the frame with no wrinkles or bunching giving the product an overall nice fit and finish that stands out in a crowd with a stylish high-end look. The Bee earned a great score for ease of car seat attachment thanks to the Chicco adapter and Chicco Keyfit 30 combination. This out on top for our favorite combination in the review and the one we recommend. We didn't test this adapter but the two sided design has us concerned that it will be similar to our testing experience with the Bugaboo Cameleon3 and the Peg Perego two sided adapter, which was the worst in the group. The Britax adapter may also be harder to use as you'll need to align both sides simultaneously and this has proven to be difficult in our experience with Bugaboo adapters. Bugaboo also makes the Bugaboo Cameleon that we tested in this review. It might be a good choice for some parents depending on what they are looking for in a stroller, but it did not win an award in this review thanks to a higher price tag than strollers that earned higher scores.